Pinnacle Graduation Checklist for Graduates | The Pinnacle P.O.V. 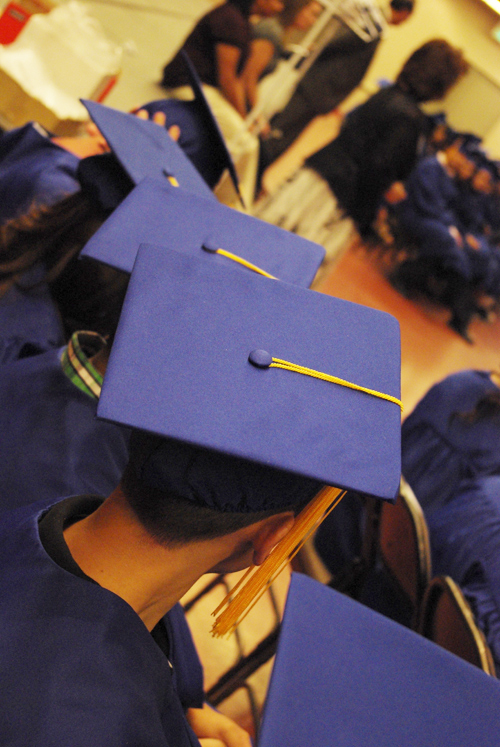 If you are planning on attending the Spring 2011 high school graduation ceremony at the Mesa Convention Center, here is a checklist of important tips and information regarding the event. If you have any questions about graduation, please contact your Virtual Guidance Counselor (full-time online students) or your Lab Manager (site students). Arrive on time and be prepared to stay throughout the practice and ceremony. Please do not bring any valuable items to the Convention Center. Pinnacle Education will not be liable for any lost, damaged or stolen property. Pinnacle Education will provide supplies to help you prepare for graduation such as: Hair pins, needle and thread, hairspray, etc. Map of the Mesa Convention Center. Guests of the graduates are expected to arrive 30 minutes prior to the start of the ceremony. ~ by pinnaclepov2224 on May 5, 2011.